Part of food presentation is the garnish and other little touches. At Hotel Restaurant Supply we have a wide range of specialty smallwares like channel knives, graters and peelers that make food embellishment so simple. We also carry fruit and olive stoners and pit removers that allow you to present your guests with beautiful, unblemished foods, and that make pitting large quantities of fruits like cherries a fast and simple task! Browse our great selection of slicing mandolins. Mandolins are perfect for making potato chips, slicing salad bar produce, preparing dehydrated foods and more! Here you will find countertop model garlic peelers. Our large models produce up to 60 pounds of peeled garlic per hour! Ask us about wholesale pricing! 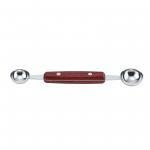 Browse our great selection of garlic presses. 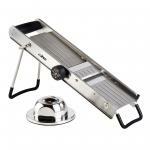 These handy little gadgets are offered in stainless construction, pro grip, steel or poly handles and more! Here you will find a great selection of food ballers. These hand held utensils are great for making melon or cheese balls, for scooping sherbets and more! 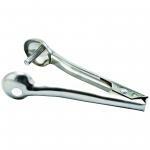 Here you will find our choice of cherry pit removers. 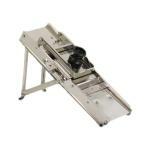 These countertop models offer automatic feeding for large quantities of fruit! Ask about wholesale pricing! 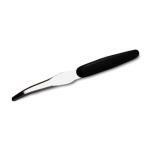 Here you will find our choice of manual garlic peelers. 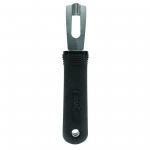 These hand held peelers offer stainless blades that chop garlic into small cubes ready for use! Here you will find our selection of combi stoners. These pit removers can handle a wide range of fruits such as olives, cherries, peaches, plums and much more! 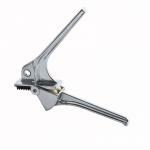 Here you will find our choice of cherry pit removers. These hand held models offer seed and stem expulsion automatically. Ask about wholesale pricing! 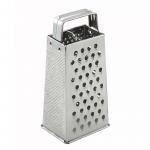 Here you will find our choice of bread and cheese graters. These graters are designed to produce up to 90 pounds per hour. Ask about wholesale pricing! Here you will find our collection of channel knives. These knives are used for creating zest garnishes for jellies and sauces, and for alcoholic beverages. Here you will find our selection of butter scrapers. These simple wooden scrapers are perfect for dishing butter portions into individual servers or cups. 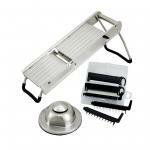 Here is our pick of avocado peelers and slicers. These avocado peelers and slicers make peeling and slicing soft fruits like avocados fast and simple! Browse our selection of grapefruit and melon knives and spoons and more. 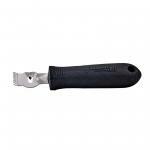 Stainless blades and polypropylene or stainless handles. Ask about wholesale pricing! 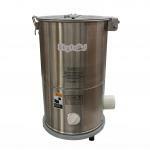 Choose from our selection of stainless spaetzle makers. These specialty molds are multipurpose tools but are perfect for making the traditional german dumplings!